Napoleon Bonaparte, the second son of Charles Bonaparte and his wife, Letizia de Ramolino, was born at Ajaccio, in Corsica, on August 15, 1769. In 1779 he entered the Royal Military School of Brienne le Chateau; there he remained till the autumn of 1784, when he was transferred to the Military School of Paris, according to the usual routine. An official report on him by the Inspector of Military Schools in this year speaks highly of his conduct, and notifies his great proficiency in mathematics and fair knowledge of history and geography, but says he is not well up in ornamental studies or in Latin, and, curiously enough, adds that he will make an excellent sailor. Napoleon lost his father in 1785, and the same year he was commissioned as second-lieutenant of artillery, in which capacity he served at Valence and other garrisons. He spent his periods of leave in Corsica, and appears to have wished to play the leading part in the history of his native island, showing the first signs of his ambitious and energetic character. During the critical times following the first French Revolution, he at first joined the moderate party of Paoli; but, trying for military power, though by untiring activity and reckless audacity he succeeded in being elected lieutenant-colonel of the National Volunteers of Ajaccio, he failed in an attempt to seize that town and was obliged to return to France. The French Government soon made an endeavor to crush Paoli and do away with Corsican privileges, and the islanders rallied round the patriot. Napoleon now turned against him and attempted to seize the citadel of Ajaccio for the French; but failing again, with all his relatives he fled a second time to France. From this time onward Napoleon looked to France for his career. The narrow horizon of his native island was no longer wide enough for him, but from its bracing mountain air and from the quick blood of his race he drew a magnetic force, which imparted to his decisions and actions a rapidity and energy that carried all before them, while at the same time a power of calm calculation, of industry, and of self-control enabled him to employ his genius to the best advantage. The force of his personality was so overwhelming that in considering his career the regret must ever be present that the only principle that remained steadfast with him, and is the key to his conduct throughout, should have been the care for his own advancement, glory, and power. Napoleon now joined the army under Carteaux, which acted against the Marseillais who had declared against the National Convention and occupied Avignon. At this time he became attached to the younger Robespierre, who was a commissioner with the army, and embraced his Jacobin principles. He was shortly promoted chef de bataillon, and commanded the artillery at the siege of Toulon, where he highly distinguished himself, and is generally believed to have been the author of the plan of attack which led to the fall of the place. He was then promoted general of brigade. On the fall of the Robespierres, Napoleon incurred serious danger, but was saved by powerful influence enlisted in his favor. He was, however, ordered to take command of an infantry brigade in the Army of the West. This he considered would stifle his military career, and neglecting to obey the order, he was in consequence removed from the list of employed general officers. Disgusted with his apparent lack of prospects, he was now anxious to be sent to Turkey to reorganize the Turkish artillery. But on the eve of the 13th Vendemiaire (October 5, 1795) he was appointed second in command of the Army of the Interior under Barras, and did the National Convention good service next day in repelling the attack of the Sections of Paris. Influenced partly by fear and partly by appreciation of his talents, the Directory appointed General Bonaparte to the command of the Army of Italy, on February 23, 1796. On March 9th he married Josephine Tascher de la Pagerie, widow of General Vicomte Alexandre de Beauharnais, and left Paris for Italy two days later. 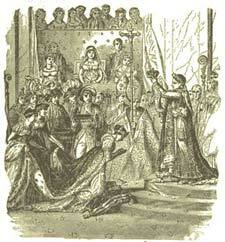 On joining the army Bonaparte inaugurated a new era in the wars of the Republic. Previously the leading motives had been pure patriotism and love of liberty; Bonaparte for the first time, in his proclamation on taking command, invoked the spirit of self-interest and plunder, which was to dominate the whole policy of France for the next twenty years. Evil as were the passions which he aroused, Napoleon's great military genius flashed forth in its full brilliancy in this his first campaign. His power lay in the rapidity and boldness of his decisions, and in the untiring energy with which he carried them out, confounding his enemies by the suddenness and lightning rapidity of his blows, which never gave them time to recover. He found the French army about thirty-six thousand strong, distributed along the crests of the mountains from Nice to Savona, and opposing 20,000 Piedmontese under Colli and 38,000 Austrians under Beaulieu. These two generals had, however, differing interests: Colli's main object was to protect Piedmont, Beaulieu's to cover Lombardy. Hence, if Bonaparte could penetrate the point of junction of the two armies, it was probable they would separate in their retreat, and could be beaten singly. He therefore attacked the centre of the allied line, and, driving back the Austrians from Montenotte on April 12th, turned against the Piedmontese and defeated them at Millesimo the next day. Losing no time he left a division under Augereau to keep the Piedmontese in check, and led the bulk of his army against the Austrians, defeating them heavily at Dego on the 14th. The allied armies then retreated in diverging directions as expected, and Bonaparte, following the Piedmontese, beat them at Ceva and Mondovi, and forced the King of Sardinia to sign the armistice of Cherasco, leaving him free to deal with the Austrians. He crossed the Po at Piacenza on May 7th, and obliged the Austrians to retreat to the Adda. Following them he forced the bridge of Lodi on May 11th, and entered Milan amid the rejoicings of the people on the 15th. But his ill-omened proclamation had done its work; violence and pillage were rampant in the French army, and he could do little to restrain them. Indeed, he himself showed an example of plundering, though under more organized forms. Heavy contributions were exacted, curiosities and works of art were demanded wholesale and despatched to France; and the Directory, demoralized by the unaccustomed wealth that flowed in upon them, became fully as eager as Napoleon for fresh conquests and their accruing spoils. The Austrians still held Mantua, which Napoleon now besieged, occupying himself at the same time in consolidating his conquests. The Austrians made strenuous efforts to save the fortress. They were much superior in number to the French, but were defeated again and again by the rapidity and genius of their opponent. Finally, at the end of October, an Austrian army of 50,000, but mostly recruits, advanced under Alvinzi. Then followed the three days' battle of Arcola, during which Napoleon had a very narrow escape, but which ended in Alvinzi's defeat and retreat on Tyrol. From Arcola Napoleon dated his firm belief in his own fortune. Once again, in January, 1797, Alvinzi tried to relieve Mantua. But Napoleon moved in full force on Rivoli, and won a decisive battle there on January 14th, the Austrian detachment on the Lower Adige having to lay down their arms next day at Roverbella. Wuermser capitulated at Mantua on February 2d, Napoleon treating him with generosity. This first Italian campaign was perhaps the most skilful of all those of Napoleon. Everything was done accurately and rapidly, and without throwing away chances. Some of his later campaigns, though equally brilliant, show him acting more with the gambler's spirit, running unnecessary risks with almost a blind reliance upon his star, in the hope of obtaining results which should dazzle the world. In political matters during this time Napoleon was acting less as a servant of the French Directory than as an independent ruler. He entirely ignored the instructions he received from Paris, levying contributions, entering into negotiations, and deposing princes at his own will, and writing that he is not fighting "for those rascals of lawyers." Napoleon returned to Paris on December 5, 1797. The Directory, fearing his ambition, thought they could only keep him quiet by employing him, and gave him command of the so-called Army of England. But he was bent on the conquest of Egypt. He appears to have had something visionary in his temperament, and to have dreamed of founding a mighty empire from the stand-point of the East, the glow and glamour of which seem always to have had a certain fascination for him. 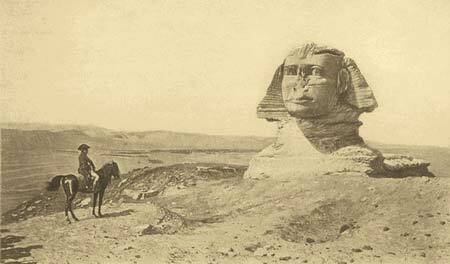 He therefore employed the resources of the Army of England to prepare for an expedition to Egypt, and the Directory yielded to his wishes, partly no doubt, through the desire of getting him away from France. But their aggressive policy was at the same time fast bringing on another European war. The expedition sailed from Toulon on May 19, 1798, captured Malta from the Knights of St. John by treachery, and, escaping by great luck from the British fleet under Nelson, arrived at Alexandria on June 30th. The army was disembarked in haste, for fear lest Nelson should arrive, and on July 8th Napoleon marched on Cairo. He defeated the Mamelukes at Chebreiss and the Pyramids, and entered Cairo on July 24th. He then occupied himself with organizing the government of Egypt, but his position was rendered very hazardous by the destruction of the French fleet on August 1st by Nelson at the battle of the Nile, and he saw that his dream of founding an empire in the East could not be realized. He thought, however, that he might create a revolution in Syria, by the aid of which he might overthrow the Turkish power, and march in triumph back to Europe through Asia Minor and Constantinople. He accordingly entered Syria in February, 1799, with 12,000 men, but was brought to a standstill before St. Jean d'Acre. Failing to capture that fortress, supported as it was by the British squadron under Sir Sidney Smith, in spite of the most desperate efforts, he was obliged to return to Egypt. After his return, Napoleon defeated a Turkish army which had landed at Aboukir, but learning the reverses that had been suffered by the French arms in Europe, he resolved to leave Egypt and return to France. He embarked secretly on August 22d, leaving a letter placing Kleber in command of the Army of Egypt, and landed in France six weeks later. He found matters at home in great confusion. The wars had been mismanaged, Italy was almost lost, and the government, in consequence, was in very bad odor. The revolution of the 18th Brumaire followed (November 9, 1799), when the legislature was forcibly closed, and a provisional executive of three consuls, Sieyes, Roger-Duclos, and Bonaparte, formed to draw up a new constitution. This was promulgated on December 13th; the executive was vested in three consuls, Bonaparte, Cambaceres, and Lebrun, of whom Bonaparte was nominated First Consul for ten years. He was practically paramount, the two remaining consuls being ciphers, and the other institutions being so organized as to concentrate power in the executive. Sieyes became president of the Senate. The governmental crisis being settled, energetic steps were taken with regard to the civil war in the west. A proclamation was issued promising religious toleration at the same time that decided military action was taken, and these measures were so successful that all was quiet at home by the end of February, 1800. Then Napoleon turned his attention abroad. He made overtures for peace to England and Austria, now the only belligerents, as he wished to lull suspicion by posing as the friend of peace, not as a military ruler; but he inwardly rejoiced when they rejected his overtures. The situation of the belligerents on the Continent was this: the Army of the Rhine under Moreau, more than one hundred thousand strong, was distributed along the Rhine from the Lake of Constance to Alsace, opposed to Kray, whose head-quarters were at Donaueschingen in Baden; while Massena, with the Army of Italy, was on the Riviera and at Genoa, opposed to an Austrian army under Melas. Napoleon intended to gain himself the chief glory of the campaign; so, giving Moreau orders to cross the Rhine, but not to advance beyond a certain limit, and leaving Massena to make head as best he could against Melas, with the result that he was besieged in Genoa and reduced to the last extremity, he prepared secretly an army of reserve near the Swiss frontier, to the command of which Berthier was ostensibly appointed. Outside, and even inside France, this army of reserve was looked upon as a chimera. Moreau crossed the Rhine on April 24th, and drove Kray to Ulm, but was there checked by Napoleon's instructions, according to which he also sent a division to co-operate with the army of reserve. Napoleon himself went to Geneva on May 9th, and assuming command of this army crossed the St. Bernard, and reached the plains of Italy before Melas had convinced himself of the existence even of the army of reserve, and while his troops were scattered from Genoa to the Var. Napoleon's obvious course would now have been to move straight on Genoa, relieve Massena, and beat in detail as many of Melas's troops as he could encounter. But this would not have been a sufficiently brilliant triumph, as the bulk of the Austrian army might have escaped; and trusting in his star, he resolved to stake the existence of his army on a gambler's cast. Leaving Massena to be starved out, he moved to the left on Milan, and occupied the whole line of the Ticino and Po as far as Piacenza, so as to cut off entirely the retreat of the Austrians. He then crossed the Po, and concentrated as many troops as he could spare at Stradella. The strategy was brilliant, but the risk run excessive. His army was necessarily scattered, while Melas had had time to concentrate, and he was besides ignorant of the Austrian position. He sent Desaix with a column to seek information, and moved himself on Alessandria, where he found Melas. Next day, June 14th, Melas marched out to attack the French on the plains of Marengo, and despite all Napoleon's efforts, had actually defeated them, when fortunately, Desaix returned, and his advance, together with a cavalry charge by Kellermann, changed defeat into victory. Melas, losing his head, signed a convention next day, giving up almost all North Italy, though Marmont says that if he had fought another battle he must have won it. Napoleon returned to Paris with the glories of this astonishing campaign; but peace did not follow till Moreau, when his liberty of action was restored to him, had won the battle of Hohenlinden on December 3, 1800. Then followed the treaty of Luneville with Germany, in February, 1801, the concordat with Rome, in July, 1801, and the treaty of Amiens with England, in March, 1802, so that Napoleon was able to figure as the restorer of peace to the world. He then devoted himself to the reconstruction of the civil institutions of France, employing in this great work the best talent that he could find, and impressing on their labors the stamp of his own genius. The institutions then created, which still remain for the most part, were the restored Church, the judicial system, the codes, the system of local government, the University, the Bank of France, and the Legion of Honor. France at this period, sick of the failure of republican government, was gradually veering toward monarchy, and Napoleon knew how to take advantage of events to strengthen his position, and in due time establish his own dynasty. Preparations for the invasion of England had been steadily proceeding, but Napoleon's aggressive demeanor after becoming emperor alarmed the European cabinets, so that Pitt was able to revive the coalition, and in 1805 Napoleon found himself at war with Russia and Austria, as well as with England. Forced by England's naval supremacy to abandon the notion of invasion, he suddenly changed front in August, 1805, and led his armies through Hanover and the smaller German states, disregarding the neutrality even of Prussia herself, and reached the Danube in rear of the Austrian army under Mack, which was at Ulm. The surprise was complete; Mack surrendered October 19th, and Napoleon then marched on Vienna, which he entered November 13th. But his position was critical. The Archduke Charles was approaching from Hungary, a Russian army was entering Moravia, and Prussia, incensed at the violation of her territory, joined the coalition. A short delay would have surrounded Napoleon with his enemies, but the czar was impatient, and the Russian army, with a small contingent of Austrians, encountered Napoleon at Austerlitz, December 2, 1805, and was signally defeated. This caused the break-up of the coalition; the Holy Roman Empire came to an end, the Confederation of the Rhine was formed under French protection, and the Napoleonic empire was firmly established. Napoleon then entered into negotiations for peace with Russia and England, endeavoring to conciliate those powers at the expense of Prussia. The negotiations failed, but Prussia was mortally offended, and mobilized her army in August, 1806, about which time Russia finally rejected the treaty with France. Napoleon acted with his usual promptitude, and advanced against Prussia before she could get help either from England or Russia. Although the rank and file of the Prussian armies was good, their generals were antiquated, and Napoleon crushed them at Jena and Auerstadt, October 14th, and entered Berlin on the 27th. He had then to carry on a stubbornly contested campaign with Russia. An indecisive battle at Eylau was followed by a hardly earned French victory at Friedland, June 14, 1807, and the peace of Tilsit ensued, by which Prussia lost half her territory, and had to submit to various humiliating conditions, while Russia escaped easily, and indeed got a share of the spoils. Napoleon was now at the zenith of his power; he was the arbiter of Europe and the paramount head of a confederation of princes, among whom the members of his own family occupied several thrones. To reward his partisans he at this time created a new noblesse, and lavished upon them the public money. He sent an army under Junot to Portugal, and another to Spain, which, under Murat, took Madrid. Napoleon then procured the abdication of the King of Spain and placed his brother Joseph on the vacant throne. But he did not foresee the consequences. The spirit of the nation was roused, and a formidable insurrection broke out, while a British army, under Sir Arthur Wellesley, landed in Portugal, defeated Junot at Vimiera, and forced him to sign the Convention of Cintra, evacuating Portugal. So began the Peninsular War, which for the future was to paralyze half Napoleon's strength. In Germany also a spirit of revolt against his tyranny was rising, Austria at first taking the lead, and this brought on the war of 1809 against that power. Prussia, already beginning to recover her strength under the military system of Scharnhorst and Stein, was hostile to Napoleon in sentiment, but was kept down by the pressure of Russia. Napoleon declared war on the pretext that Austria was arming, and marching through Bavaria drove the Austrians out of Ratisbon, and entered Vienna May 13th. Eugene Beauharnais, at the head of the Army of Italy, drove the Austrians before him into Hungary, defeated them at Raab, and joined Napoleon. The emperor then tried to cross the Danube, but was checked at Aspern and obliged to retire to the island of Lobau. Five weeks of preparation then followed, the peasant war under Hofer being carried on in Tyrol, and then Napoleon made a fresh and successful attempt to cross the Danube, and won the battle of Wagram July 5th. This was followed by the armistice of Znaim and the treaty of Schoenbrunn, October 20, 1809, by which he obtained a heavy indemnity in money and considerable accession of territory in Carniola, Carinthia, Croatia, and Galicia. But he mortally offended the czar by giving a large portion of the ceded territory of Galicia to the Duchy of Warsaw--i.e., to Poland. On December 16, 1809, Napoleon, desirous of an heir, divorced Josephine, who was childless, and married, April 1, 1810, the Archduchess Maria Louisa of Austria. He had no doubt the wish also to get a footing in the circle of the legitimate reigning families of Europe. A son, to whom the title of King of Rome was given, was born March 20, 1811. Still bent on the humiliation of England, Napoleon now tried to effect his purpose by increasing the stringency of the Continental System, but this ended in bringing him into conflict with Russia. He first annexed the kingdoms of Holland and Westphalia, to give him command of their seaboards, and then prohibited English trade even when carried in neutral bottoms. The czar, already estranged by Napoleon's alliance with Austria and his conduct as regards Poland, refused to adopt this policy, and the relations between them gradually became so strained that war was inevitable, and Napoleon took the momentous resolve to invade Russia. With Maria Louisa, he arrived at Dresden May 16, 1812, and was there greeted by the Emperor of Austria, the King of Prussia, and other sovereigns. His army for this gigantic enterprise numbered about six hundred thousand, including French, Germans, and Italians. He crossed the Niemen on June 24th, reaching Vilna, which was evacuated by the Russians, on the 28th; and remained at Vilna till July 16th, hesitating to take the final resolution to invade the heart of Russia. He made overtures for peace to the czar, who refused to treat as long as an enemy remained on Russian soil. Foiled here Napoleon at last decided to go on with his enterprise; so he advanced, and at first the Russians were in no condition to meet him, their forces being scattered. If Napoleon could have advanced rapidly to Smolensk, he might have cut the Russian forces in two, but his vast host appears to have been unmanageable. Barclay de Tolly and Bagration succeeded in uniting at Smolensk, but were driven from it on August 18th, after an obstinate defence. At Smolensk Napoleon again hesitated as to whether he should go into winter-quarters, but eventually decided to press on to Moscow, trusting to the moral effect of the fall of the ancient capital. It seems as if, while his superstitious belief in his star still remained, bodily ailments had caused a deterioration in his power of rapid decision and in his energy of action. Meanwhile, great discontent had been caused in Russia by the continued retreat of the armies. Kutusoff was appointed to the chief command, and stood to fight at Borodino on September 6th. Napoleon won the battle, but with unwonted and misplaced caution refused to engage his Guard, and the victory was almost fruitless. He entered Moscow on September 14th, and fire broke out the next night, the first effect of which was still further to alarm the Russians, who believed it to be the work of the French. The fire raged fiercely till the 20th, and a great part of the city was burned to the ground. Had the victory of Borodino been more decisive the czar might now have yielded; but as it was he listened to the advice of Stein and Sir R. Wilson and refused to treat, thus putting Napoleon in a dilemma. His plans were always made on the basis of immediate success, and the course to be adopted in case of failure was not considered. Again he hesitated, with the result that when at last he resolved to retire from Moscow, the winter, coming earlier than usual, upset his calculations, and the miseries of that terrible retreat followed. He left Moscow on October 18th, and, reaching the Beresina with but 12,000 men, was joined there by Oudinot and Victor, who had been holding the line of the Dwina, with 18,000. His passage of the river was opposed, but he succeeded in crossing, and on December 6th the miserable remnant of the Grand Army reached Vilna. Macdonald, Reynier, and Schwarzenberg, with 100,000 men, on the Polish frontier and in the Baltic provinces, were safe; but this was the whole available remnant of the 600,000 with which the campaign commenced. All Europe now united against him. The French armies were discouraged, and the allies enthusiastic; but the latter had difficulties to contend with from their heterogeneous composition and diversity of interests. The campaign opened with varying fortune. A blow at Berlin was parried by Buelow at Gross Beeren on August 23d. Napoleon himself forced Bluecher back to the Katzbach, but had to retire again to defend Dresden from the Austrians; and his lieutenant, Macdonald, was defeated in the battle of the Katzbach on August 26th. Napoleon inflicted a crushing defeat on the Austrians before Dresden on the 27th, but, while preparing to cut off their retreat, was disturbed by the news of Gross-Beeren and the Katzbach and by sudden illness, and at Kulm lost Vandamme with 20,000 men. September was spent in fruitless marches, and toward the end of the month the allies began their converging march on their preconcerted rendezvous at Leipsic. At the same time the Confederation of the Rhine began to dissolve. The kingdom of Westphalia was upset on October 1st, and on the 8th Bavaria joined Austria. The toils were closing round Napoleon, and between October 14th and 19th he was crushed in that battle of the Titans at Leipsic, and, brushing aside the Bavarians, who tried to stop him at Haynau, on November 1st, led back the remnant of his army, some 70,000 strong, across the Rhine at Mainz. The allies now made overtures for peace on the basis of natural frontiers, which would have left France the fruits of the first Revolution, viz., Belgium, the left bank of the Rhine, Savoy, and Nice; but Napoleon could not be content with such curtailment of his power. Evading at first the proposal, he would have accepted it, but with suspicious qualifications, when too late. The invasion of France followed. The allies issued a manifesto on December 1st, saying they were waging war against Napoleon alone, and advanced with three separate armies. Schwarzenberg led the Austrians through Switzerland, Bluecher crossed the Middle Rhine toward Nancy, while the northern army passed through Holland. Napoleon had yet hopes of success on account of the forces he still had in the German fortresses, the mutual jealousies of the allies, his connection with the Emperor of Austria, and the patriotism which would be aroused in France by invasion. But the allies gave him no time to utilize these influences, and Paris was not fortified. Napoleon carried on a campaign full of genius, gaining what advantage he could from the separation of his enemies. He attacked Bluecher and won four battles in four days at Champaubert (February 10, 1814), Montmirail (11th), Chateau-Thierry (12th), and Vauchamps (13th). These successes would have enabled him to make a reasonable peace, but his personal position forbade this, and he tried subterfuge and delay. The allies, however, were not to be trifled with, and in the beginning of March signed the treaty of Chaumont, which bound them each to keep 150,000 men on foot for twenty years. The battles of Craonne and Laon followed, in which Napoleon held his own, but saw his resources dwindle. On March 18th the conferences at Chatillon came to an end, and on the 24th the allies determined to march on Paris. Marmont and Mortier, with less than thirty thousand men, could make no head against them, while Napoleon himself tried a fruitless diversion against their communications. Joseph Bonaparte withdrew Maria Louisa and the King of Rome to Tours. On March 30th the allies attacked Paris on three sides, and in the afternoon the French marshals offered to capitulate. Napoleon, when he learned the real state of affairs, hurried up in rear of the allies, but was too late, and had to fall back to Fontainebleau. His position was desperate, and to add to his difficulties Wellington, whose career of success had gradually cleared the French out of the Peninsula, had now led his victorious army across the Pyrenees into France itself. Napoleon therefore at first offered to abdicate in favor of his son, but, when he found that would not be sufficient, he signed an unconditional abdication on April 11, 1814. He was given the sovereignty of the island of Elba, and the Bourbons, in the person of Louis XVIII., were restored to the throne of France. But the condition of affairs was very precarious. The return of the Bourbons was most unpopular. It indeed restored the parliament, but it unsettled the position of public men and the title to estates. The army was disgusted at the appointment to commands of emigres who had fought against France. The Church began to cause alarm to the holders of national property; and by the release of prisoners and the return of the garrisons of German fortresses, very large numbers of Napoleonic soldiers became dispersed over France. The coalition, too, broke up, and fresh alliances began to be sought with a view to check the aggressive spirit which Russia seemed inclined to manifest. Altogether affairs in Europe and France were in such a state as to make it not impossible that the magic of Napoleon's name might replace him in power. He accordingly resolved on making the attempt, left Elba on February 26, 1815, and landed on the French coast on March 1st. On the 20th he entered Paris, having been joined by the army. Europe had declared war against him, and a new coalition had been formed, but only two armies were immediately ready to take the field; a mixed force under the Duke of Wellington in Belgium, and a Prussian army under Bluecher in the Rhine provinces. The English army had its base on the sea, and the Prussian on the Rhine, so that they had diverging lines of operation. Napoleon's idea was to strike suddenly at their point of junction before they could concentrate, push in between them, drive them apart, and then defeat each separately. The plan was unexceptionable, resembling that of his first campaign in 1796, and the opening moves were successfully carried out. Napoleon left Paris on June 12th, his army being then echeloned between Paris and the Belgian frontier, so that the point where the blow would fall was still doubtful. On the 15th he occupied Charleroi, and was between the two allied armies, and on the 16th he defeated Bluecher at Ligny before Wellington could come to his assistance. So far all had gone well with him; but now, apparently, his energy was not sufficient to cope rapidly with the difficulties that no doubt beset him through the shortcomings of his staff, and the spirit of mutual distrust that reigned among his officers. He did nothing till the morning of the 17th, and it was not till 2 P.M. that he sent Grouchy with 33,000 men to follow the Prussians in the supposed direction of their retreat toward Liege, and keep them at a distance while he turned against Wellington. But he had lost his opportunity; the wasted hours had enabled the Prussians to disappear, and he did not know the fact that Bluecher had taken the resolution to move on Wavre, giving up his own communications in order to reunite with Wellington. The latter had retired to a previously chosen position at Mont St. Jean, and received Bluecher's promise to lead his army to his assistance. So on the 18th, when Napoleon attacked the duke, unknown to him the bulk of the Prussian army was hastening up on his right flank, while Grouchy was fruitlessly engaged with the Prussian rear-guard only. This led to the crowning defeat of Waterloo, where Napoleon's fortunes were finally wrecked. He fled to Paris, and abdicated for the last time on June 22d; and, finding it impossible to escape from France, he surrendered to Captain Maitland, of the Bellerophon, at Rochefort, on July 15th. He was banished by the British Government to St. Helena, where he arrived on October 15, 1815, and died there of cancer of the stomach on May 5, 1821.